Facebook the world’s 2nd most visited website on the Earth. It has over 1 billion registered users. Every day millions of people share photos and videos on Facebook. Well, due to lots of users it is widespread that people use Facebook search. Sometimes, people use the Facebook search bar to find someone profile, Pages, Photos, and videos. While searching for Facebook search, it keeps the copy of your search and saves on its server. And every time we seek on Facebook, it shows the earlier result. But, if you don’t want your earlier search to appear. 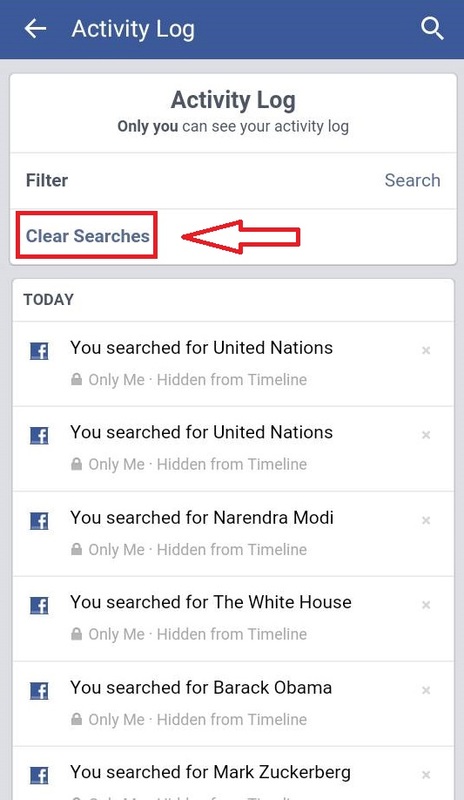 Then, you can clear search history of Facebook by following the tutorial listed below. Delete Facebook search history Facebook search history completely. 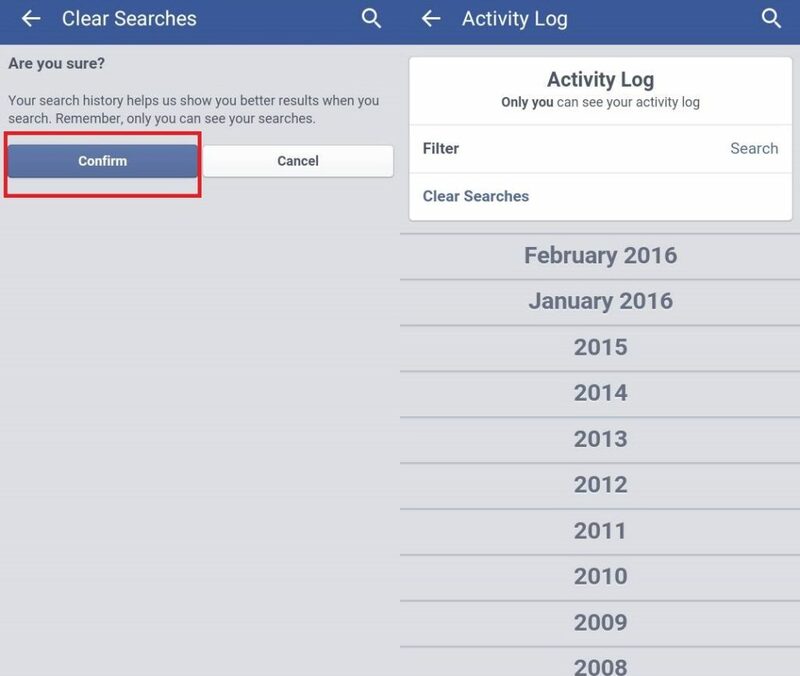 Clear your Facebook search history on android, iOS, Laptops, and PC. Remove your Facebook search from the FB search bar. Now, click on search Facebook. Now, you will see recent searches. Now, it will take you to Facebook Search history. You can see all your Facebook Search for Date and Time. Now, Click on Clear Searches on the top right side. Now, It will ask you again to Cancel or Clear Searches. Now, all your searches will be deleted from Facebook, and you will see nothing in your Facebook Search history. Open Facebook application on your iPhone or Android Phone. Now, tap on Facebook search and click on edit. 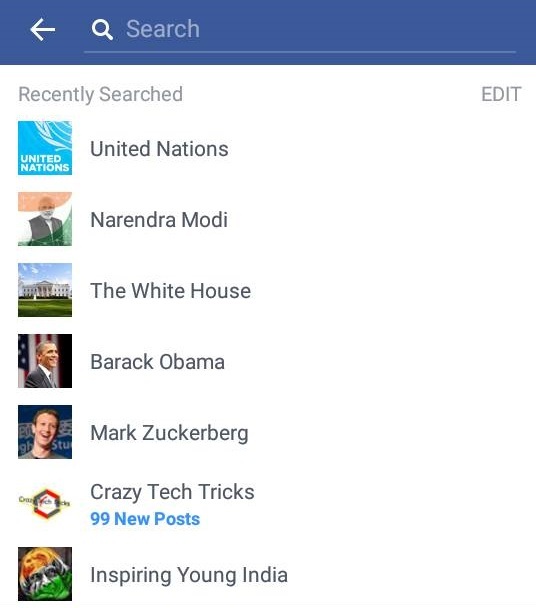 Now, it will take you to Activity Log of Facebook Search. Now, tap on Clear Searches and confirm the option. Congratulations! You have deleted all your Facebook search history. Now, you can see the blank screen or no recommended option to search on Facebook. So, start searching again and keep clearing your Facebook search history.